Valley Mortgage Company, Inc maintains office hours Monday through Friday from 8:30am to 5:00pm and weekends and evenings by appointment. We are available for your inquiry 24 hours a day by email and voicemail. 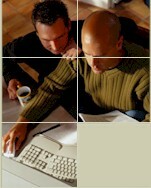 Any concerns or questions should be directed to rapport@valleymortgage.com OUR POLICY.